You work out hard 3, 4 or even more times per week. Why have you hit that imaginary wall? The results seem to be stagnant. I can give you my personal take…SODA and HFCS! I cut this “junk” out of my diet and BOOM! A more lean body, more energy, just felt better overall. What does soda (or “pop” as it is called in the Midwest) offer? “Non-diet sodas contain sugar, derived either from corn or from beets or sugarcane. Refined sugar spikes blood sugar levels for a short time, increasing energy, followed by a sugar “hangover” which can sap energy. Refined sugarÂ spikes insulin levels in the body which have been connected to heart disease and high blood pressure. Insulin levels also affect how the body processes carbohydrates and determine whether food energy is burned or stored. 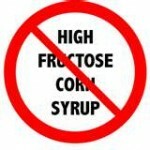 What are the Dangers of High Fructose Corn Syrup? Personally…eliminating both diet and regular soda along with HFCS from my diet has made a HUGE impact, positively in my mental, emotional and physical well being. 21 users commented in " Soda,High Fructose Corn Syrup-just say NO! " I minimize HFCS, but find it near impossible to eliminate. I’m hoping a little will do no real harm. Hi Blake! Thanks for the feedback! Hi Dr. J! I agree…Moderation is the key! I just came across your health and fitness blog. 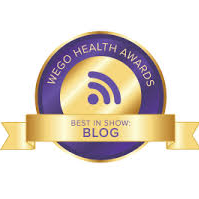 Your article about High Fructose Corn Syrup was especially interesting. I especially liked your comments about reducing and eliminating it from your diet to feel better physically and mentally. I am adding you to my favorites. We’re in the same industry, the business of encouraging health and fitness. We market a product called The AbStand: http://www.theabstand.net. We would love for you and your readers to check out our ab workout product. Any feedback would be appreciated as well. Thanks! So glad to see a post from you!! I gave up sodas when pregnant with my first child many moons ago. The one big thing that I saw – no more caffeine headaches! I still enjoy a soda every now and then as a special treat (but usually specialty sodas now that are made with cane sugar), but I don’t miss having them on a regular basis. In fact, most sodas taste so sickly sweet to me now that I can’t tolerate drinking the whole thing, and with my sweet tooth, that says a lot! Hope we hear more from you soon! We couldn’t agree more. As part of our commitment to better health, in addition to what you describe, we are trying to eliminate most processed and restaurant foods. This gives us much more control over what we put into our bodies. Thanks for the post. I really appreciated your explanation right to the point. My family and I avoid HFCS since I noticed that my daughter got sick every single time she took it. She has some food allergies, and I believe HFCS had an important role on them. I take a few seconds reading the ingredients of every single food that we are going to eat. Life without HFCS is an adventure, and it is a pleasure.